One of the coolest new & unique features on Solstice is the real grass up in the “Lawn Club”! Besides lawn bowling, ring toss, etc. 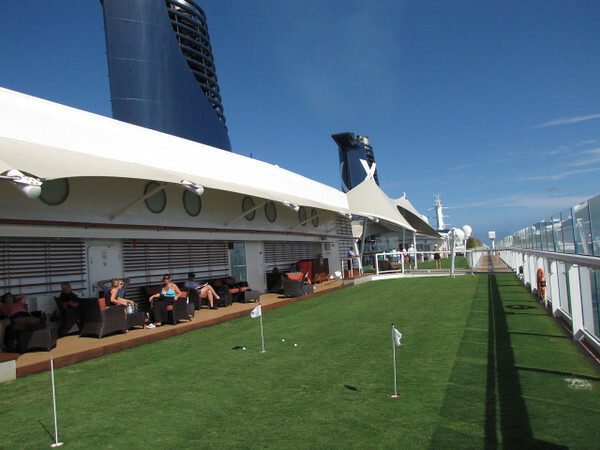 you can do some putting on the grass while at Sea.